awesome care but you left out the hibernation and care if happens..
Great pacman care sheet BTW! Thank you I am looking forward to owning my own this year. Do you know any breeders?? 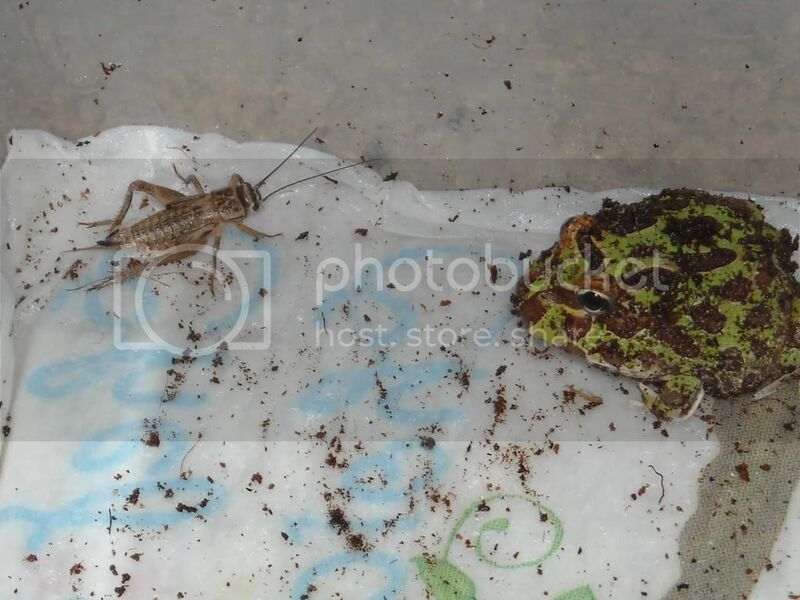 my frog wont eat anything but crickets, she's almost a year old now, and her bowel movements have changed and her eating habits, she still will eat but only every 3 days... i cant tell if she pooping or not, the side of her belly is soft, i been putting her in warm 80* water and she'll do a lil at a time, she's be active here lately moving around in tank, jumping here and there, this is the most i have ever seen her move, its funny in a way bc she digs holes and then gets in them and then moves, but if i come in and fill it in she gets out and remakes it... love it... any ideas? I keep mine in a 10 gallon tank... works great..
Looks like a standard, chubby, American toad. 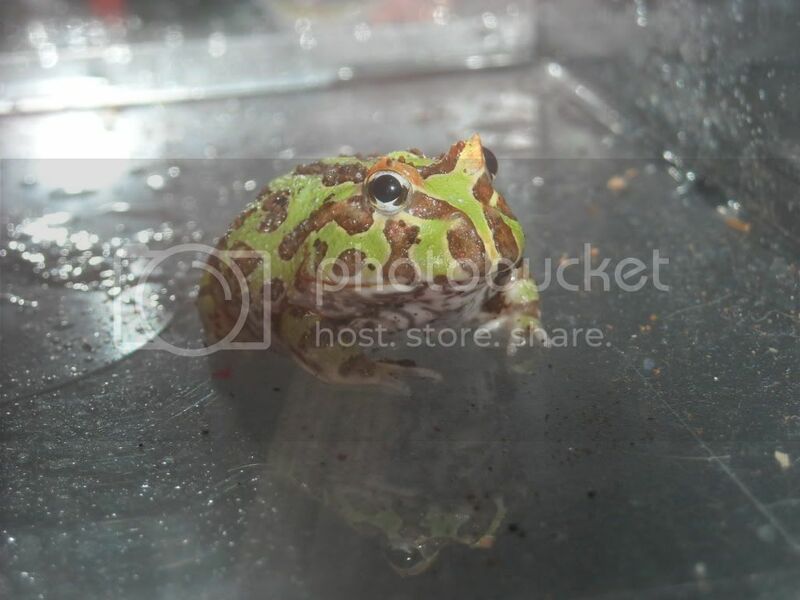 My toad Brownie looked pretty much just like that (albeit she had a heavily noticeable fat roll under her chin). Hey guys new to this. Umm I have an ornate pacman and I was wondering why are mealworms so bad for them??? Try mixing up the diet a little. It's great that he is eating crickets because it gives them something to hunt but I know especially for my pacman that he really looks forward to that pinky at the end of the month and the slimy night crawlers I give him every other week alternating with crickets. Keeping your pets enriched and active will ensure a long and healthy life for any animal. Excellent care sheet! I now know that I shouldn't be only feeding my pacman feeder goldfish. But, what if that is the only thing he has ever gone for? From time to time I will experiment with crickets and night crawlers but he seems to have an aversion to them. He's now about 5 years old, very plump and only will go after feeder fish. Hi there ,great article you wrote there about pacman frogs. 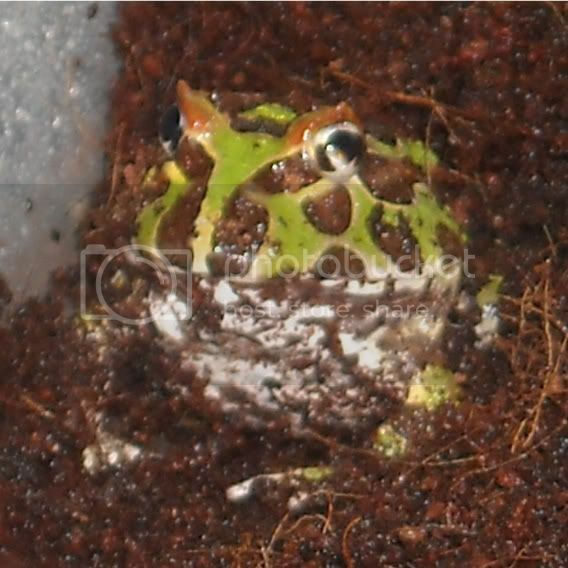 I am facing a problem now with my female pacman frog, it is about 1 years old and a half. 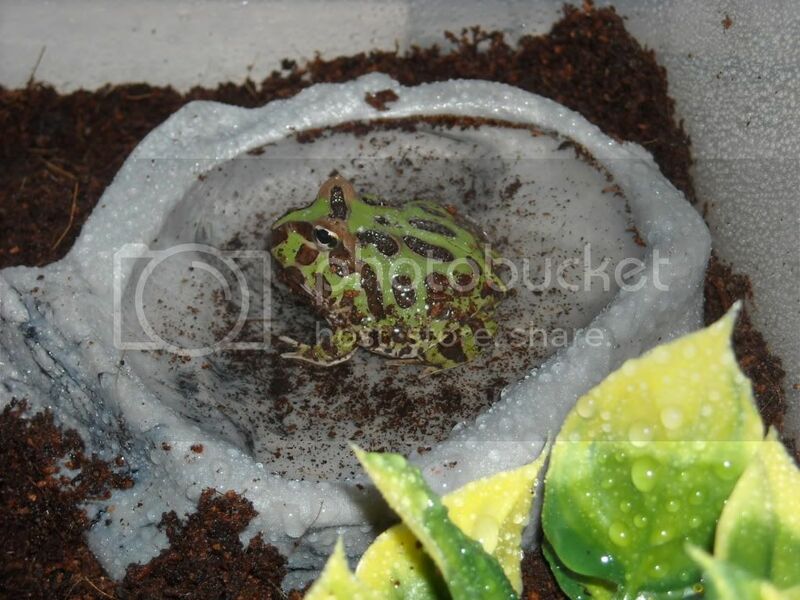 Recently about 1 month ago, my pacman frog starting to loose her appetite to eat. She used to be a big eater, will strikes at any food that is placed infront of her. Her main diet is feeder fish and pinky or fuzzy, but now she will not even attempt to take a bite for it. I am living in Malaysia which is a tropical counter and raining season has starts, does this has anything related to her behavior? Also whenever i check on her, she will be either sleeping with both eyes closed or 1 eye closed. Is this a symptoms of brumation? Or she is low in food intake that caused her to be having such low energy?